The Pizitz Building experiences new life as it reopens its doors for the first time since 1988. In the early 1900s, a young Polish man named Louis Pizitz opened his first store, known as the “People’s Store,” in the heart of downtown Birmingham. According to historian Tim Hollis, the name reflected the young man’s desire to cater to the common man. By the 1920s, the store had grown into the Louis Pizitz Dry Goods Company, a department store that was a staple of everyday life in Birmingham. This year the building is reopening its doors as it embodies the character and ambition of the Magic City. 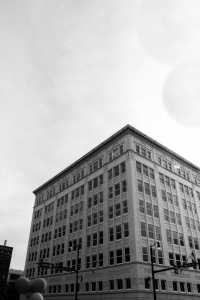 The Pizitz Building will express in the best form the heart of downtown living: eat, play, live and work. 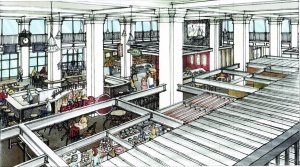 The space will serve as home to Birmingham’s first food hall as well as many office spaces and apartments. The lower level will be headquarters to the Sidewalk Film Festival and will also include two art and film theaters, offices and educational facilities. A lasting attribute of Birmingham is the quality and array of dishes created in the local restaurant scene. 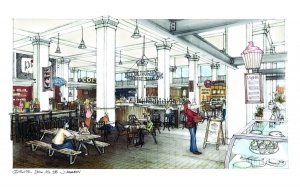 The food hall will act as a place for people of all ages to come together and fellowship while indulging in local cuisine. The space will be made up of roughly 15 food stalls that will include an array of dishes, such as burgers, tacos, dumplings and more. All the food stalls will be set up around a central bar that will serve as the heart of the hall. In addition to the food stalls, there will be three full-service restaurants, as well as two areas with more traditional retail including the local printing company YellowHammer Creative. Reveal Kitchen, a product of REV Birmingham, is one of the food stalls that will be a part of the hall. The stall will feature up-and-coming local chefs every six months who have graduated from Create Birmingham’s CO.STARTERS program. Deon Gordon, director of business growth at REV, said he is thankful Bayer Properties approached him on this opportunity, as it fills a significant need in the business model for culinary startups. The incubator will bridge the gap between culinary pop-ups, food trucks and take-overs to chefs moving to a more permanent brick and mortar location. Reveal Kitchen provides startups with six months of sales, real market validation, exposure, experience, expertise and targeted technical assistance to back their growth progress, Gordon explained. The stall will contribute a well balanced mix of new upcoming dishes to the food hall while being consistent in providing exceptional quality. Birmingham is a city that is growing and evolving. Entrepreneurs, creatives, artisans and chefs from all over are calling Birmingham home. People like Louis Pizitz in the 1900s, have shown up in Birmingham to start lives for themselves, and for many that is in central downtown. The Pizitz Building acted as a gathering place for those people together back then, and it will do the same thing again today. Walker, who has been working on this project with Bayer Properties for the past five years, said the venture is important to the revitalization happening in the downtown area. 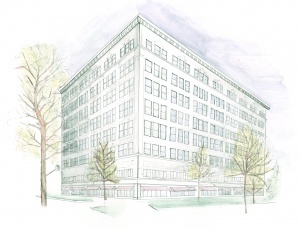 He said it is exciting to participate in the historic rehabilitation of the Pizitz building because of the significant role it has played in Birmingham’s past. He remembered one instance when he was giving a tour of the building and many of the guests remembered walking the halls of the Pizitz building as a child. The building not only brings back a sense of nostalgia, but it also builds a sense of pride and ambition in the people. “The Pizitz Building forces people to raise their expectation for what our city can do and what should be done… it raises audacious belief in Birmingham,” Gordon said. The Magic City has seen major growth through projects such as Railroad Park, which were once thought to be illogical but have drawn more people downtown. The Pizitz Building has the opportunity to continue the vibrant story being written and told downtown. The Pizitz building is located on 19th Street between 1st and 2nd Ave N. The food hall is set to open this December 2016. The apartments will open later in December. Visit the www.thepizitz.com for more information. Pizitz Sketch by Katherine Mixson, Photograph of the newly renovated Pizitz Building by Charis Nichols, Food Hall Renderings contributed by The Wilbert Group showing what the inside will look like.